It has been confirmed that on Sunday November 30th the popular news telecast “60 Minutes” will air there segment on online poker. The popular news telecast will play on CBS at 7 p.m. and is said to be one of the first stories that is played during the telecast. The segment on the show will be called “Cheaters” and it will focus on the online poker cheating that has been taking place over the past year which took place on the online poker rooms Ultimate Bet and Absolute Poker. 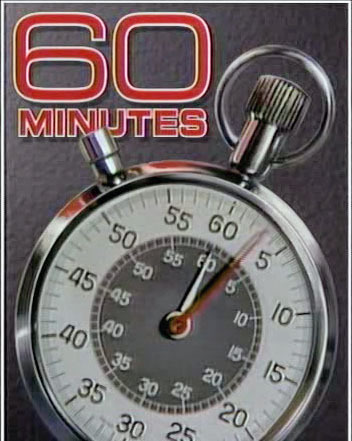 This particular segment has been on the mind of many of the top poker players and officials in the game of poker for the past couple of months because no one really knows how “60 Minutes” is going to portray this. Some are saying that it could possibly depict poker in a horrible manner and destroy all of the work that people have done to get poker to the success as it is today. Others are saying that it could potentially bring forth some action from the government to regulate the online poker community and make the game of online poker legal once again in the United States. Other reports that have been confirmed are that some of the most respected poker industry representatives were interviewed during the shooting of this news story about cheating that was going on in the online poker rooms of Ultimate Bet and Absolute Poker. These people that were interviewed were Mike Sexton, Linda Johnson, main event bracelet winner Greg Raymer and bracelet winner Todd Witteles. We will all have to tune in on Sunday November 30th to see how the show “60 Minutes” portrays this story and lets hope that they stick with the cheating that happened on Ultimate Bet and Absolute Poker and not try and attack the entire poker industry. Lets also hope that “60 Minutes” also realizes and states that the online poker business has taken the proper steps to make sure that none of the cheating that took place on the poker sites ever happens again.